FollowMe for the ‘World’s Most Secure Printers’ | Industry Analysts, Inc.
As a global provider of secure document management solutions, it is paramount for Ringdale to work with leading print technology providers. As a HP JetAdvantage partner, the FollowMe team has been working with HP Inc for years to deliver an integrated solution to address customer challenges in achieving document security and industry compliance. 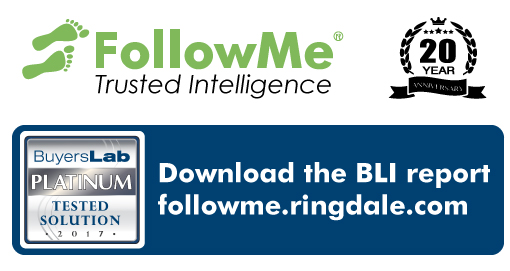 The new BLI report for FollowMe v6.2 closely reviews the latest Data Loss Prevention (DLP) capabilities, available for HP printers and MFPs including the products recently launched by HP. This entry was posted in Ringdale and tagged BLI, followme, ringdale by IA Staff. Bookmark the permalink.